A report in FE News highlights a major new report issued with regard to skills shortages in STEM subjects. We often hear from the Government, media and employer groups that Britain faces a shortage in Science, Technology, Engineering and Mathematics (STEM) skills. However, what we rarely hear are specific details of what those skills shortages actually are and — just as crucially — where they are. In other words, we know that there is a problem, but we don’t necessarily understand what the particulars of the problem are. That there is a skills shortage in such occupations is well documented. For instance, the issue was raised in the Government’s 2017 Industrial Strategy, which quoted a CBI survey showing that 40% of employers reported a shortage of STEM graduates as being a key barrier in recruiting appropriate staff. 7 out of 10 said they had found it difficult to hire staff with the required skills in the last year. 9 out of 10 said that their recruitment of such positions is taking longer, with the process taking an average of 31 days longer than expected. 48% are looking abroad to find the right skills. Not only is it a very real problem, it is also a very costly one. STEM Learning’s research, for instance, estimated that the issue is costing businesses £1.5 billion a year in recruitment, temporary staffing, inflated salaries and additional training costs. Solutions are clearly needed, but before they can happen we need to ask ourselves the following question: Do we really understand the particular details of the STEM skills shortage? Our research clearly shows that the problem is by no means uniform across the country, with different areas often having very different needs. 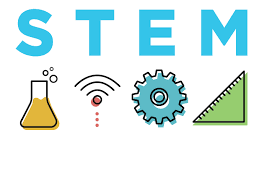 Any real solutions to the problem cannot, therefore, come about from a one-size-fits-all approach, and it is only by better understanding the specific demand for specific STEM jobs and skills in specific parts of the county can we hope to tackle this problem effectively. This purpose of the report is not to show what all those specifics are, since this would take up many thousands of pages. Rather, its purpose is to show how those specifics can be identified using detailed local economic insight. In other words, by picking out some headline insight, and some specific examples, we have attempted to show how those with a vested interest in solving the STEM skills shortage can use data to get to the nub of the problem in their area, so that any proposed solutions will be far better informed. But perhaps even more ambitious than that how question, our report can also be seen as an attempt to begin a discussion about why identifying specific STEM nuances at the local and regional level is absolutely vital to solving the puzzle. Too much of the discussion around the issue is couched in general statements about the “national” STEM skills shortage. Yet, as you will see, the data presented throughout the report challenges this idea, and instead encourages us to think of the problem in far more nuanced terms as a number of different STEM skills shortages at local levels throughout the country. If we are serious about solving the STEM skills problem, we need to get better at articulating the specifics of the problem we are facing, and those with a vested interest in finding solutions — be they economic developers, education providers, employers or other stakeholders — really need to be able to understand the challenge as it relates to their area. In turn, this will inform collaborative solutions which can be incorporated into local industrial strategies, skills planning, course area development, and workforce planning. This report is an attempt to show how this can be done, and why it must be done.